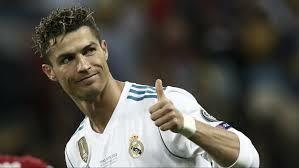 Real Madrid has offered Cristiano Ronaldo a staggering £28.5m annual contract to snub Manchester United. Ronaldo wants to leave Real Madrid over frustrations regarding tax fraud allegations in Spain, which he denies. The striker is reportedly unhappy with how Real have failed to give him financial assurances over the issue. Manchester United and PSG are said to be the two clubs capable of matching Ronaldo’s enormous wage demands. It was reported earlier this week that the Portugal international had asked for a £64m-a-season, five-year deal to remain in Madrid. But Real have offered him a deal much lower than those demands - even though the figures are still eye-watering. That is according to Spanish radio stations Cadena COPE. They claim Real have lodged a £28.5m-a-year contract with Ronaldo’s representatives. That includes a fixed £22m per season, with the remaining £6.5m reserved for bonuses. But it may not be enough to keep Ronaldo.